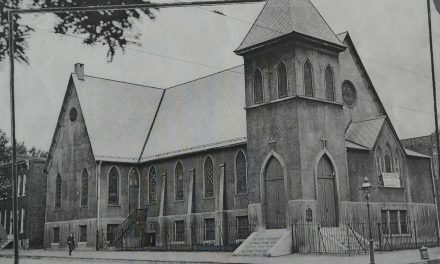 Meanwhile, St. George’s Church, at Prestman and Division Streets, which had been built in 1882 as a memorial to Bishop Whittingham, seemed to be prospering as well. 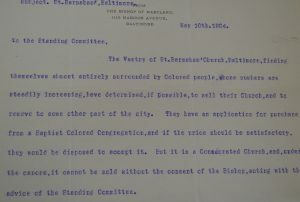 In 1900, the vestry authorized enlarging the facility by erecting “a two-story brick building 19.5’ X 15’ on the organ side of the church.” The parochial report estimated 309 communicants, and 103 in the Sunday School. 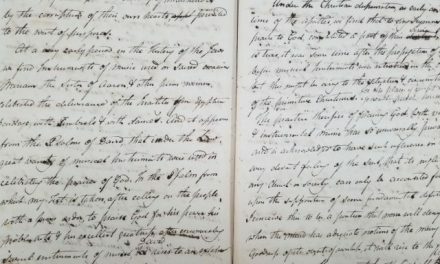 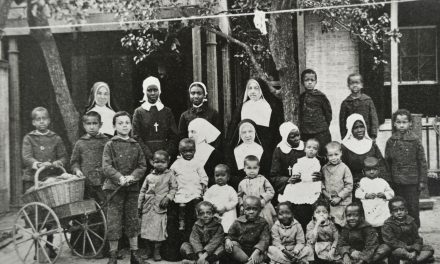 However, in November of 1904, the vestries of St. Barnabas’ and St. George’s voted to “consolidate” the two congregations, each keeping their own vestry, paying its own allotment to the diocese, and worshipping together at St. George’s. 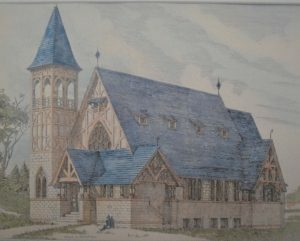 Henry Vaughn of Boston was chosen as the architect for the grand design for a Cathedral complex, which would take up the whole block at University Parkway from Charles Street to St. Paul Street. 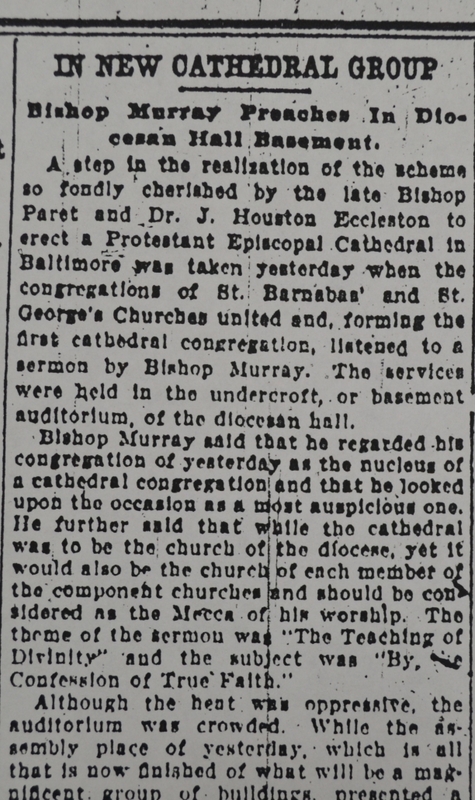 In 1908 he was instructed to submit a sketch showing the proper location of the buildings which should include “a Cathedral, the Bishop’s House and Library, and a Synod Hall, which is to be used as a Pro-cathedral and church for the congregations of St. Barnabas and St. George.” The Undercroft was ready to occupy as the first worship space by June, 1911. The cornerstone of the superstructure of the Synod Hall was laid in 1920, but post-World War I financial problems caused building to be suspended; then the financial crash of 1929 caused a further dip in financial resources. 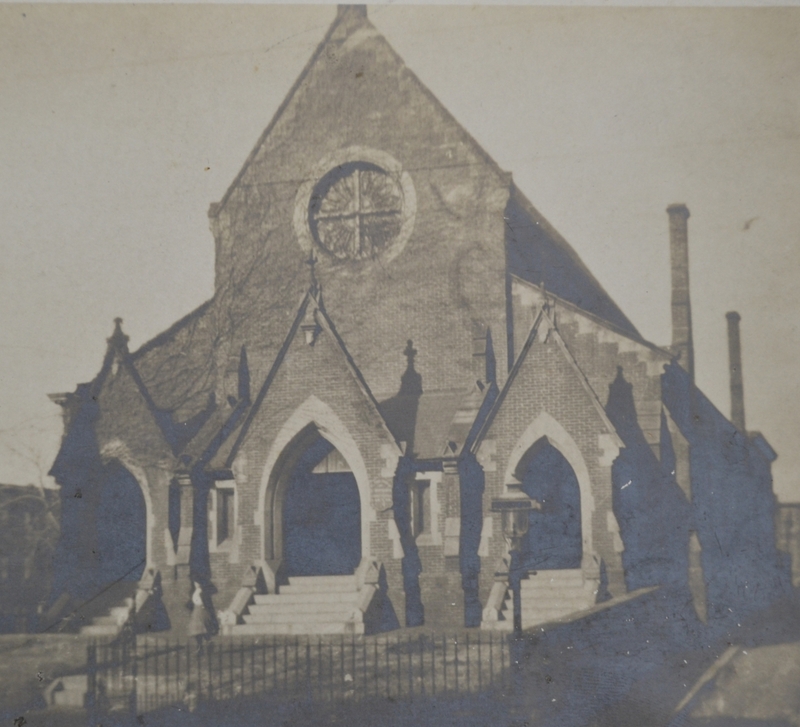 However, by November of 1931, building of the Synod Hall began and was quickly ready to occupy for Christmas Eve, 1932, and was paid for and consecrated in 1955. 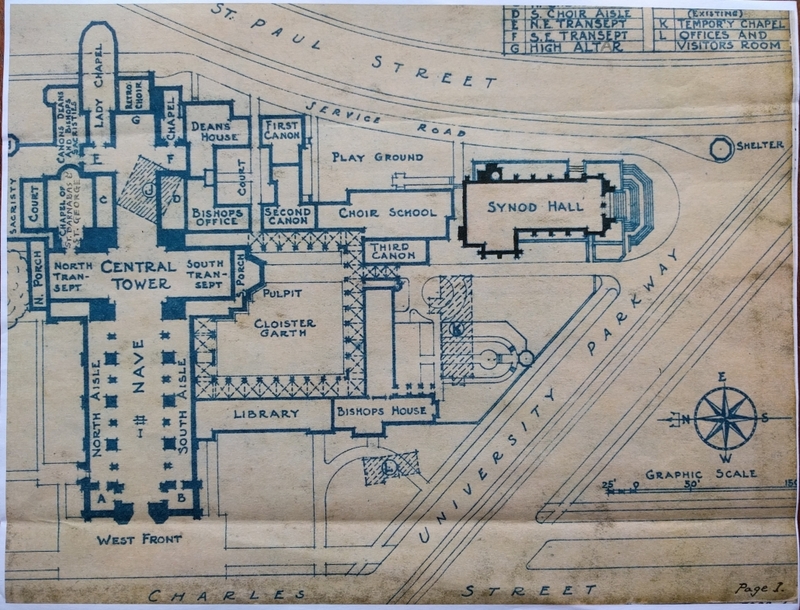 The hopes for a huge Cathedral complex died hard, but by the 1960’s, all concerned were content with the present building and the early plans for a huge complex were finally laid to rest.